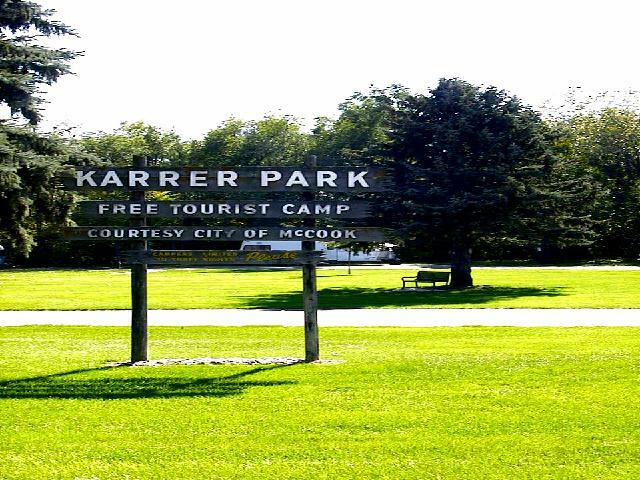 Karrer Park is the city’s RV and camping facility welcome to visitors and tourists. It has 7 RV spaces and plenty of space for primitive camping. The RV spaces have electricity year round. Restroom and shower facilities are available in the summer months. No reservations are made at this site as stays are on a first-come, first-serve basis and are limited to three days. There is no charge to stay at Karrer Park, but free-will donations are accepted and appreciated. Some of the finest fishing and hunting in the state is found at Red Willow SRA, and the area has excellent facilities for camping and water-oriented recreation. Red Willow SRA offers 4,320 acres of land around a 1,628-acre lake. Camping, swimming, picnicking, and water recreation are very popular at Red Willow. 48 camping pads with 30 and 50-amp electrical hookups are available, with access to showers and a dump station. There are 110 non-pad sites throughout the area. Located in a peaceful and scenic spot, Medicine Creek is a great hidden outdoor getaway. Four two-bedroom fully furnished lakeside modern cabins are available for outdoor lovers. 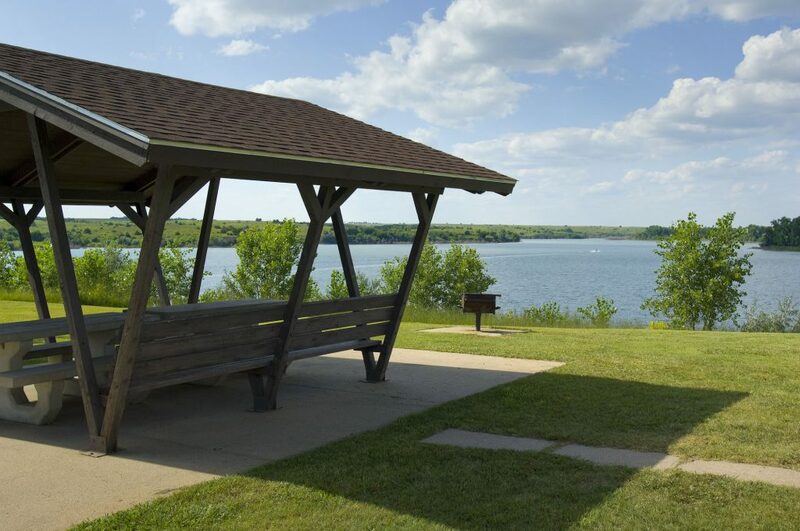 Camping, fishing, swimming, picnicking and boating are popular on this 1,768-acre lake. Medicine Creek State Recreation Area has four lakefront cabins on the east side of the lake in the Shady Bay Campground, Trail 4. Each two-bedroom cabin is approximately 532 square feet, has air conditioning, a full bathroom, furnished kitchen and a covered deck overlooking the lake. Linens and utensils are provided. Medicine Creek has 72 camping pads with 30 and 50-amp electrical hookups. All campers have access to modern restrooms, showers, dump station, vault toilets and nearby concession. 240 non-pad sites are available with no electricity. All campers have access to modern restrooms, showers, dump station, vault toilets and nearby concession. 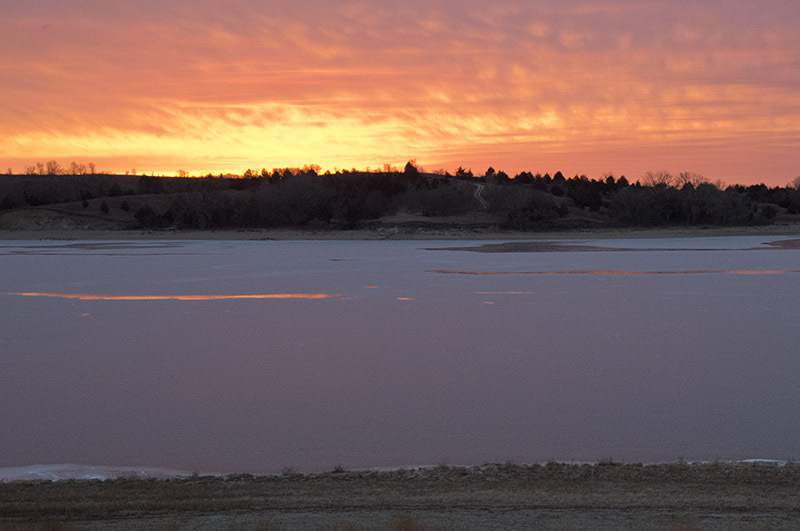 Swanson Reservoir State Recreation Area is the largest of four recreation areas in the southwest part of the state. 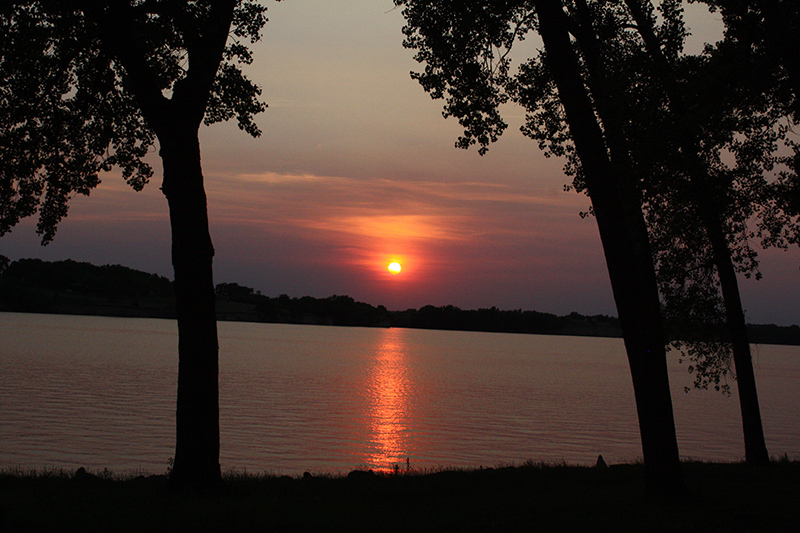 Located near Trenton, Swanson consists of a 4,974-acre lake and 3,957 acres of land. 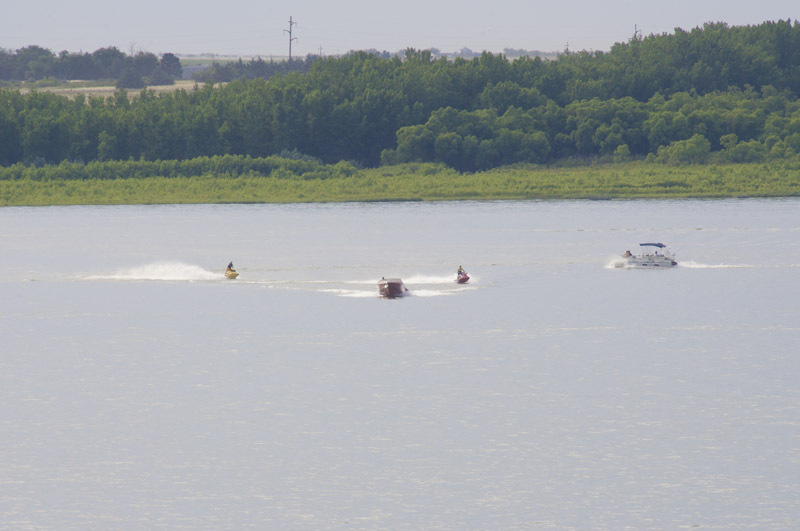 The area offers fishing, boating, camping, concessions and hunting in season among other activities. Swanson Reservoir State Recreation Area offers 59 camping pads with 20-, 30- and 50-amp electrical hookups spread over two campgrounds. Macklin has 17 and 42 are located at Spring Canyon Campground. Both offer modern restrooms and showers. An additional 150 or so primitive sites are available on the sandy beach surrounding the lake. The beaches are kept well groomed and are popular with campers. Two dump stations are on-site. Enders Reservoir State Recreation Area, one of four areas known collectively as the Southwest Reservoirs, is a combination of recreational and wildlife lands, with the additional dedication of a portion of the area as a wildlife refuge in the fall and winter. Because of its refuge status, the recreational facilities are not as extensively developed as those at the other three lakes in the complex. Including the lake, the entire area encompasses 5,700 acres. Of the 4,000 acres of land, the Enders Wildlife Refuge covers 2,146 acres on the western reaches of the lake. Enders is a good escape for the outdoor enthusiasts who want to enjoy the bounties of nature in a peaceful, uncrowded setting. Park permits are available at the park office. Enders offers 42 camping pads sites with 20-, 30- and 50-amp service at each site. Showers, modern restrooms, water, grills, picnic tables and shelters, fish cleaning station and a dump station are available to campers. Enders offers 200 non-pad sites without electricity. Campers are also welcome to pitch a tent in any of the more secluded areas around the lake. 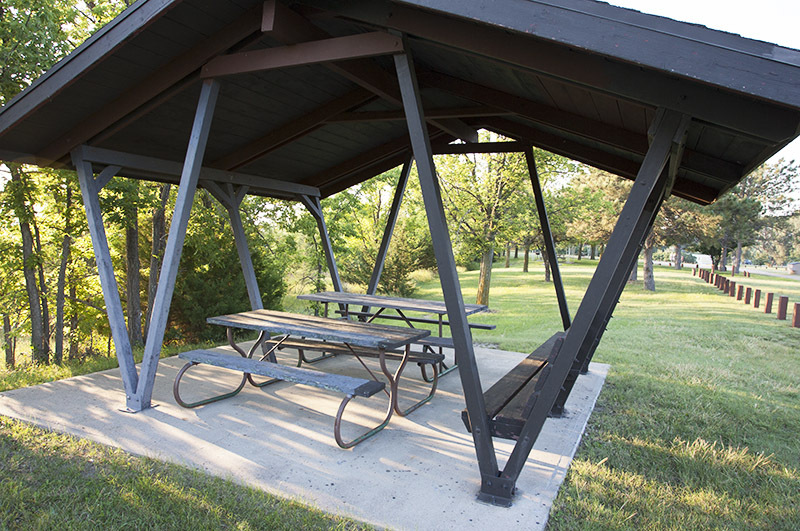 Campers have access to showers, modern restrooms, water, grills and picnic tables and shelters. Medicine Creek SRA/WMA: The sunrise as viewed from trail 7 at Medicine Creek State Recreation Area. Haag, Dec. 7, 2013.